Tintin escaped for the clutches of OGPU and returned to Brussels in “Tintin in the Land of the Soviets”. He was ready for his next adventure. This time he went to Congo in the deep African jungles. 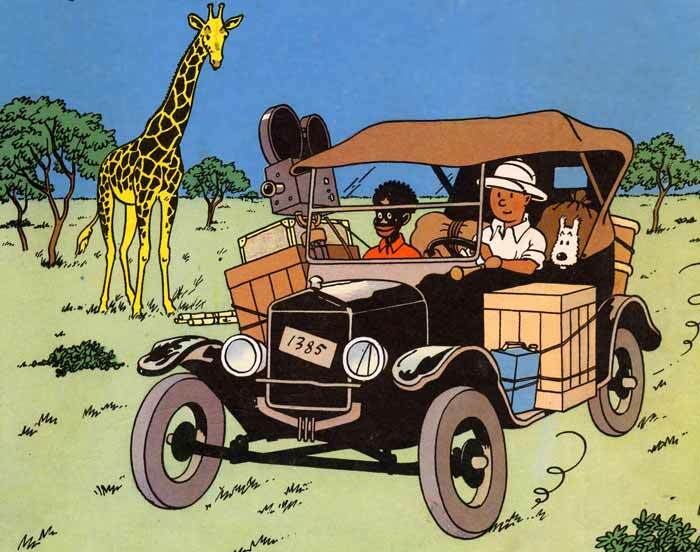 One of the world’s most iconic cars is depicted in “Tintin in the Congo”. The car is none other than the Ford Mode l T. I don’t think I need to give any introduction about the Ford Motor Company, one of the big three from the USA. This car was built using the assembly line system, with completely interchangeable parts. 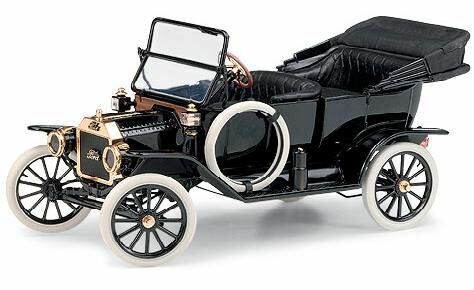 Though the assembly line was developed by Ransom E. Olds, who first mass-produced the Oldsmobile Curved Dash, beginning in 1901, the system was developed and made tremendously efficient over the life of the Model T. The credit for this development can be given almost entirely to the vision of Henry Ford and his engineers. This car was adjudged as the most influential car of the 20th Century during the “Car of the Century” competition held in 1999. 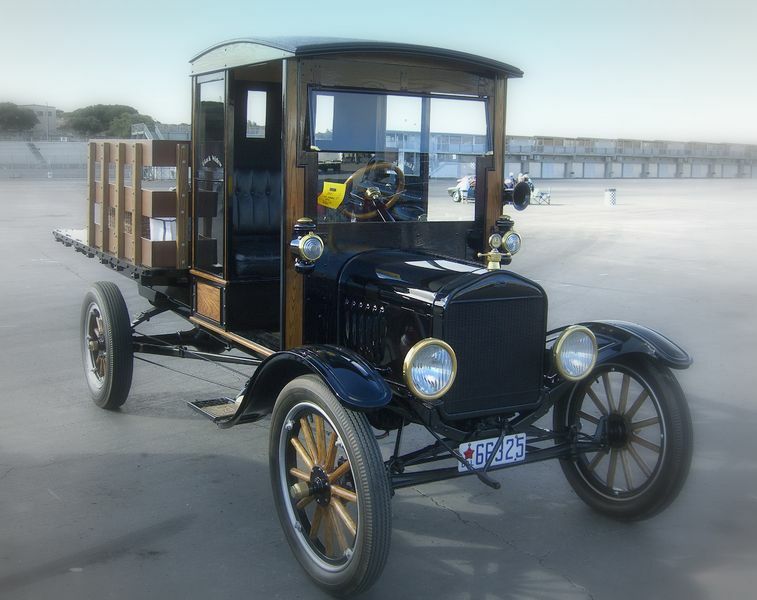 15 million Ford Model T were built from 1908 till 1927. A production run of nearly 19 years.It still lists among the ten most sold cars in the world. 2-door, 3-door and 4-door five seat touring models. no-door, 1-door and 2-door roadsters and a roadster pickup. As a separate chassis on which one could get a body fitted using the services of a coach builder. 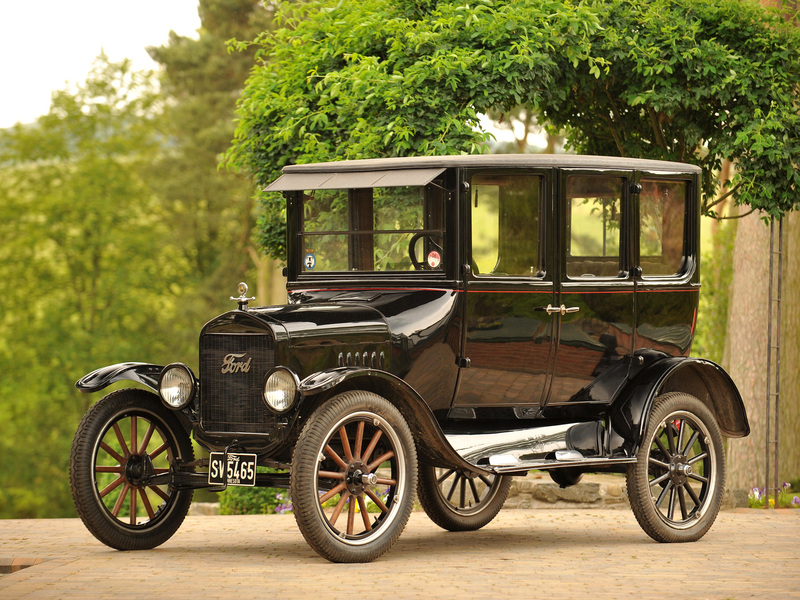 Ford Model T used a four cylinder in-line 2.9 litre (2900 cc or 177 cu-inch) hand cranked engine. The engine was simple and efficient, with all four cylinders cast in a single block and the cylinder head detachable for easy access and repair. This engine produced 20 HP and transmitted the drive to the rear wheel using a two speed planetary gear box. It was a unique engine that could run on petrol (gasoline), kerosene or ethanol. However, as the price of petrol reduced and once prohibition was introduced in the USA, people found it less attractive to run the car on ethanol. Model T could achieve speeds up to 72 km/h (45 mph). It used trembler coil system instead of the more expensive magneto for ignition. Use of termbler coil also permitted the engine to burn alternate fuels. 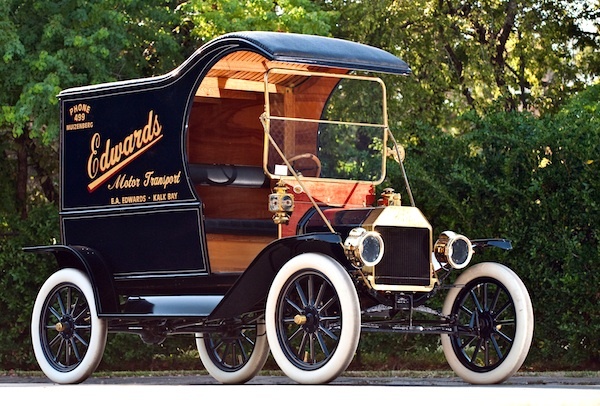 Ford Model T had a unique system for gear change. The throttle (accelerator) was provided on the steering wheel, there was no clutch pedal and the gears were changed using three foot pedals and a lever. There were no brakes on the wheels and brake had to be applied using the transmission brake using one of the three pedals. The transmission brake comprised a band around a drum in the transmission which stopped the rear wheels from turning. However, there was a parking break which also acted as the emergency brake. The car had a 10-gallon fuel tank which was located under the front seat. 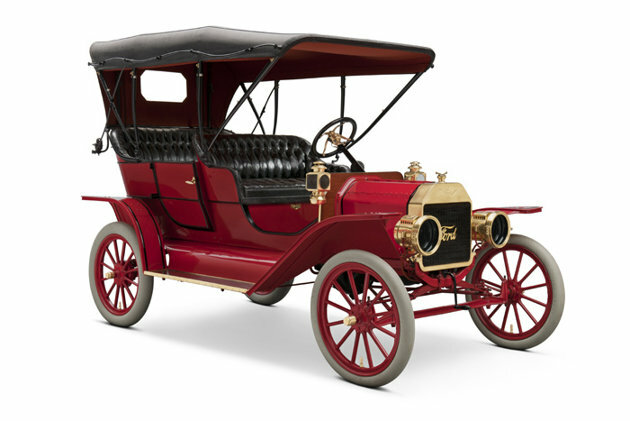 Gasoline was fed to the engine only by gravity, and also the reverse gear offered more power than the forward gears, as a result the Model T frequently had to be driven up a steep hill backward. As most of the roads in USA at the time were dirt roads, the suspension comprised one transverse semi-elliptical spring each for the front and rear beam axles. This kind of suspension allowed for a lot of movement of the wheels over the uneven roads. Till 1926, only wooden wheels were available. Wire spoke wheels were made available in 1926 and 27. The market in which Ford sold these cars was a seller’s market. Till 1913, the cars were available in limited number of colours, grey, green, blue and red depending on the model one bought, green and red for touring cars, green and grey for town cars etc. In 1914, Henry Ford’s famous diktat was implemented – “Any customer can have a car painted any color that he wants so long as it is black”. needed. I so much unquestionably will make sure to do not overlook this site and give it a look on a relentless basis. Thank you all friends for the encouragement. I will surely try to improve as I am also a first time blogger. As regards the spellings, this Blog is written in English UK, what is still taught in India, so many spellings may not match the spellings in American English.